Lately I've been on this knitting kick. I think it's because it's something I can do with Liam around. I just have to make sure I put it away when I'm not working on it. Knitting needles (minus the knitting I've been working on) quickly turn into swords or screwdrivers. Yarn transforms into snakes, worms, and more recently rope. 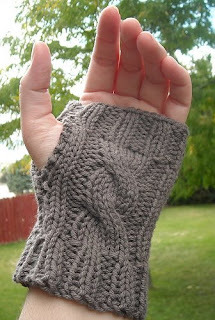 Here are the fingerless gloves I finished just after Christmas. I used this pattern with a sport weight yarn. This is the first time I've ever done cables. They were surprisingly easy. Unfortunately, I can't find my cable needle now. Liam decided it was a helicopter. It must have flown away. I'll have to get a new one. The pattern ended up being too big around for my arms, and I didn't have a smaller set of double-pointed needles so I just cast on ten less stitches. Worked out well, but I had to fiddle a little with the ribbing at the fingers because the stitches didn't divide right. I think I ended up knitting two together a couple of times. Thank you Will and Sadie for taking my picture during Liam's nap. You make me very happy. Look at you sassy Mama! LOVE the gloves and we have the same necklace. LOVE IT! 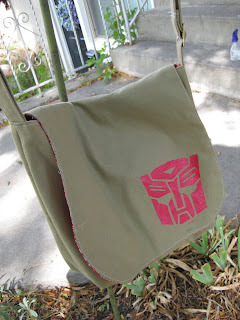 You may have looked, but if an item sold out of an Etsy shop - you can check their sold items. There is a link on the side bar of their shop. If the gloves were sold they will be in there. Just in case you need to look at them again. I love those!! They are so beautiful. I'm glad you picked black. That's my favorite! And I miss the Wasatch Mountains!! Happy Knitting! And thanks for the link to my page! The gloves are awesome#1 and #2... you look like you're standing in front of a photo backdrop or a painting... we don't have scenery like that in Richmond, VA! Totally Jealous!